We have listened to you and worked hard to make your learning even better! In the quizzes we have moved some of the quiz options into a small drop-down menu. This allows you to focus better on the words you are learning and you are less distracted by the menu bar. Improved mobile pages. If you use L-Lingo on mobile you will find it has now improved layout for different screen sizes and a new menu with easier access to more options. 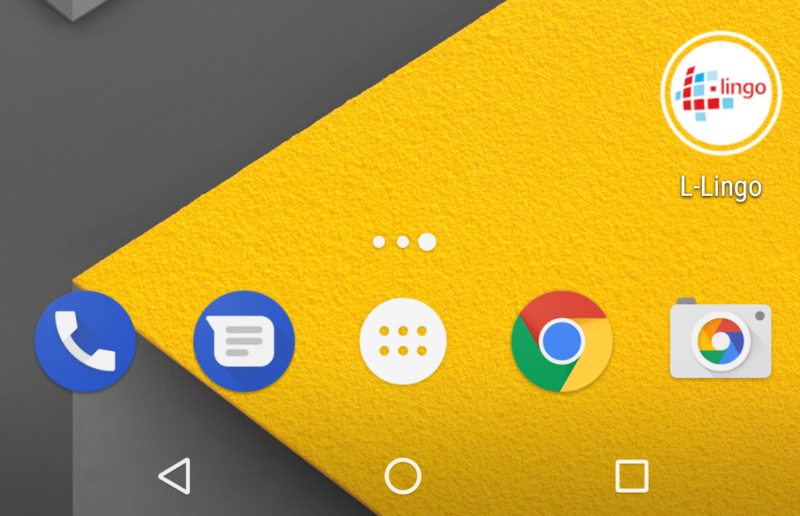 If you use L-Lingo regularly on your mobile phone you can now add it as a direct launch icon to your homescreen. To do this, you must use Google Chrome as browser. 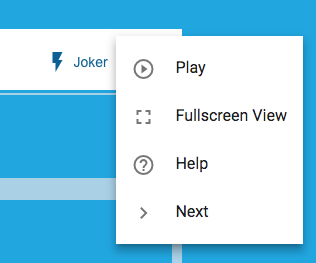 Once you have opened the web-app and are logged in, go to the Chrome menu and click on “Add to home screen” and then ‘add’. 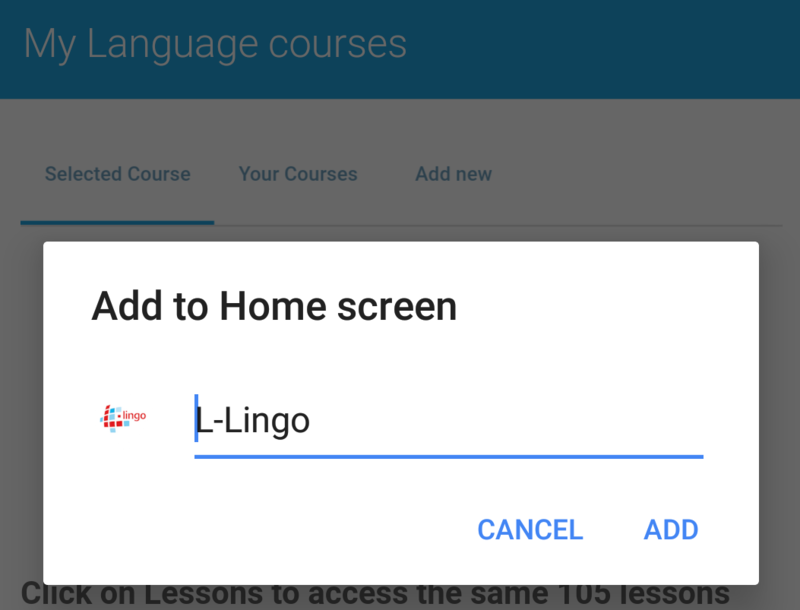 After this you can launch L-Lingo directly from your start screen on your mobile phone, just like a normal app. There have been tons of other small improvements being implemented. Please let us know your thoughts or if something is not working as expected!